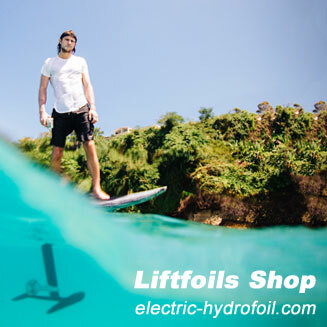 You can now pre-order the electric hydrofoils Fliteboard, Fliteboard Pro and Fliteboard Air from Australia. 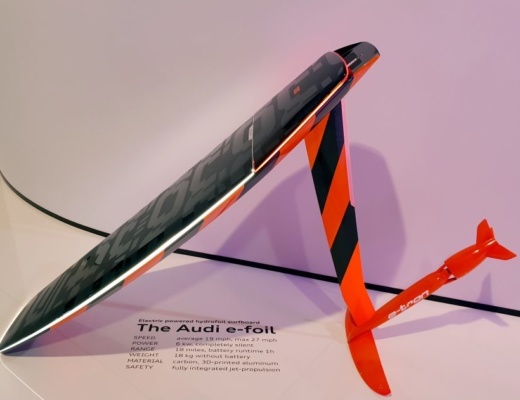 The e-Foils are modular which make them easy to transport, setup and customisable. They are coming in the 3 versions Standard. Pro and Air. International shipping will be around 400 EUR, but but can vary by location. 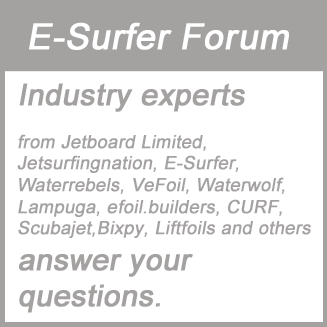 The Fliteboard team will be able to provide quotes. In future local distributors and Flite Schools will help to reduce the shipping cost worldwide. Shipments to Australia and New Zealand are expected for November 2018 and US, Europe and Middle East for February 2019. The pre-order deposit of 5,000 AUD or 3,125 EUR is fully refundable according to the Fliteboard website. PayPal, major credit cards and direct transfer by Poli are accepted. 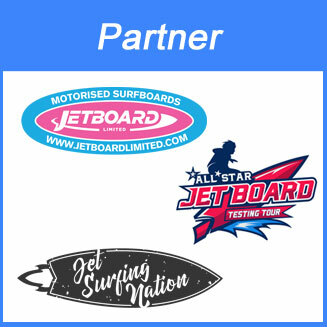 The Fliteboards have multiple ways to customise the experience depending on the weight of the rider and riding skills. This includes 2 different wings. 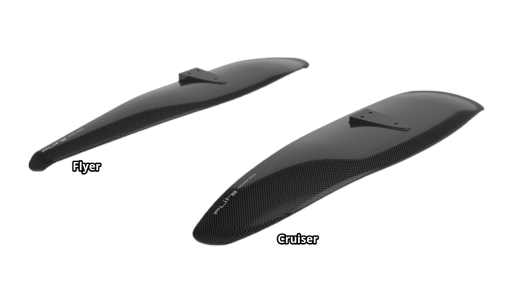 The cruiser wing is good for heavier riders, for slow to medium speed cruising and for wave riders. The Flyer wing is good for speeds up to 40 km/h, lighter riders, fast turns and long distance rides. The IP67 waterproof remote control has a bright OLED screen which displays speed, distance, battery time, range and efficiency (energy per kilometre). 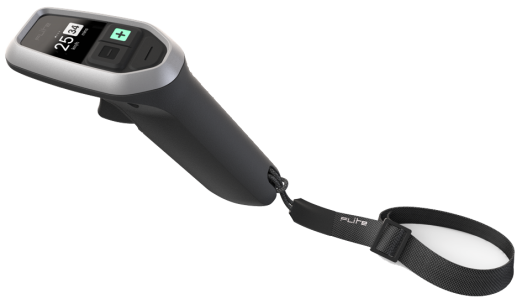 The Bluetooth remote includes an integrated GPS, accelerometer and stores the data. A future Smartphone app will be able to monitor the system and make software updates available for the remote. 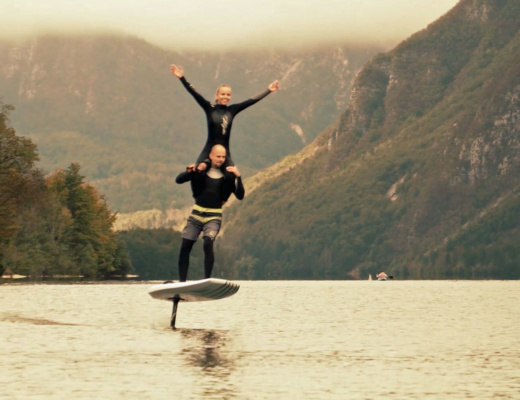 The “Flite box” is the heart of the electric hydrofoil. The hard anodised aluminium box includes the onboard computer and battery. The board itself is available in 3 options. The Fliteboard, Fliteboard Pro and Fliteboard Air. The Fliteboard Pro is for experienced riders who want to have the smallest board possible. 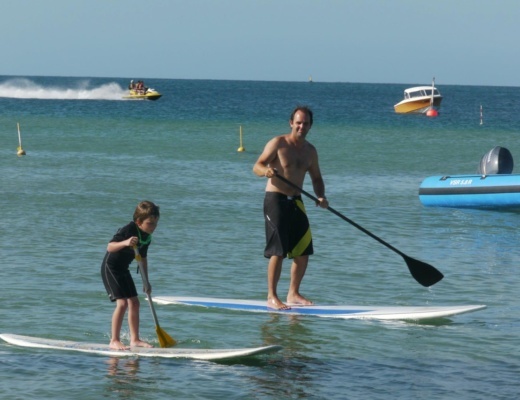 the board is light and very responsive, but not the best choice for beginners. The 70 litres board is 152 cm long and 62 cm wide and designed in PVC carbon sandwich structure. The board comes in a range of finishes including ballistic grade Carbon Innegra and Ash veneer. 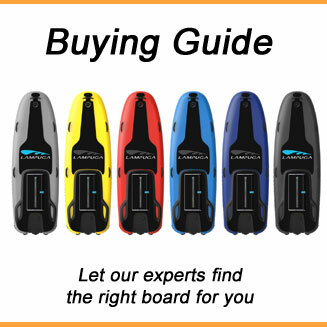 The standard Fliteboard is good for beginners and advanced riders with a weight of 50 kg to 90 kg. It has with 100 litres more volume. It is also produced in PVC carbon sandwich design and is 172 cm long and 71 cm wide. It is available in the same finished designs like the Fliteboard Pro. 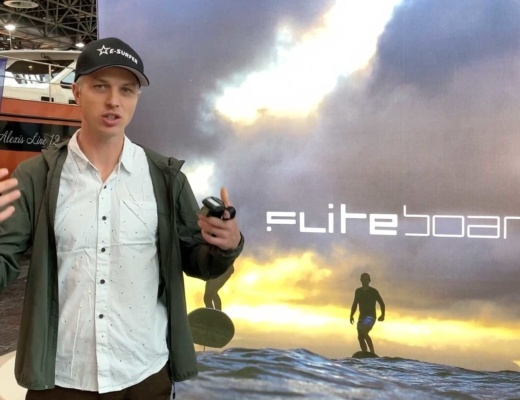 The inflatable Fliteboard Air can inflate around a self-contained power shell for easy transport and is targeted for families, rentals, schools and for usage on yachts. It has a volume of 175 litres (incl. the power shell) and is 198 cm long and 76 cm wide. The body is filled with a air pressure of 18 psi or 1.25 bar. 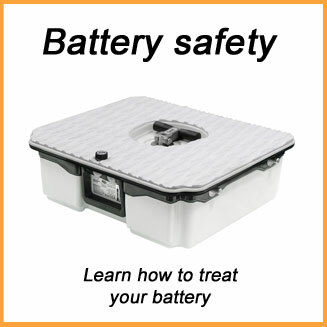 The Flite Cell is the plug and play battery which is available in 2 models. The Flite Cell Sport offers 30 Ah / 1.65 kWh capacity at a weight of 8.75 kg. 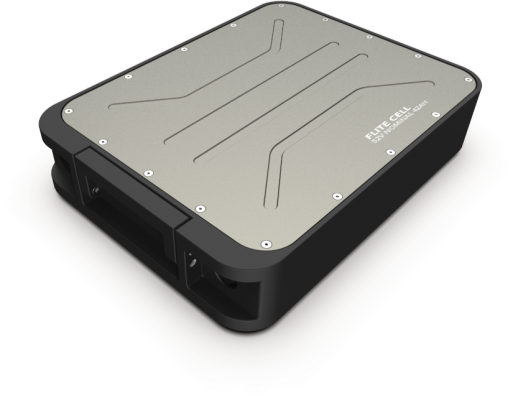 The Flite Cell Explore offers 42 Ah / 2.2 kWh capacity and weights 11.5 kg. The charging time is between 2 and 3.5 hours. An 85 kg rider is supposed to be good for a maximum flight time of an hour (at 25 km/h with the Flite Cell Explore) and a maximum speed of 40 km/h with the Flyer Wing (about 34 km/h with the Cruiser Wing). The Flite Cell Sport would have a range of 40 minutes for the same rider, but lighter riders would get a longer range. The complete Fliteboard package weighs between 22kg and 28kg depending on the board, battery and wing choice. 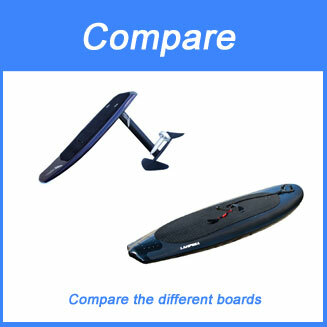 You can compare the Fliteboards with other e-Foils and electric surfboards in our electric surfboard comparison.